Maria Nichols supports educators and refines her own craft in urban schools in the San Diego Unified School District, and in districts across the United States. Her work as a teacher, literacy coach, administrator and author has focused on the development of thoughtful teaching and learning inside classrooms alive with purposeful, productive talk. 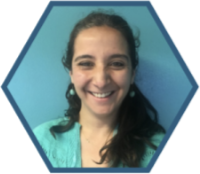 Maria has recently expanded her focus on dialogic processes to include the design and implementation of elementary Science, Technology, Engineering, Arts, and Mathematics (STEAM) teaching and learning. This work emphasizes interdisciplinary unit design incorporating Design Thinking, enabling student inquiry of issues with global reach and local impact. Embedded in this work is processes for developing student’s ability to read, think and talk among multiple perspectives to broaden their inquiry and deepen understanding. Maria is the author of several texts and articles, including Comprehension Through Conversation (Heinemann 2006), Talking About Texts (Shell 2008), Expanding Comprehension with Multigenre Text Sets (Scholastic 2009), and most recently “Real Talk, Real Teaching,” published in Ed Leadership (2014). 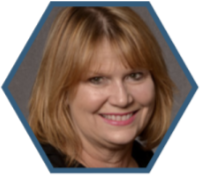 Debra Crouch works nationally as an independent educational consultant, collaborating with districts and schools in designing professional learning opportunities. Her work empowers teachers, principals, and coaches to envision instructional decisions that matter for children—decisions about processes for learning that unfold over time, across texts and among practices. 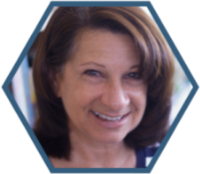 Debra is a former classroom teacher who initiated and led the development of balanced literacy practices in her own school district and has been involved in education for the past 28 years as a classroom teacher, coach, consultant, and author. 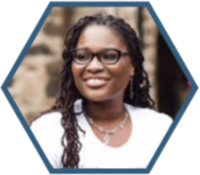 She actively shares her thinking and practices through long-term professional learning opportunities with districts across the country serving children from diverse backgrounds, languages, and socioeconomic needs. Maria is an education consultant specializing in instructional leadership and best practices in reading and writing at the K–8 levels. She has extensive experience coaching school leaders as they manage and communicate change, especially in teaching practices and standards. Maria has spearheaded many literacy initiatives in schools across the country and has supported principals and teachers in transforming the reading and writing lives of their students. 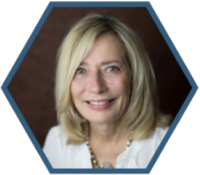 Maria’s leadership coaching spans industries; her education clients include school districts that partner with the Center for Educational Leadership (CEL), Mondo Publishing, New Leaders, The Gates Foundation, and The Global Online Academy. 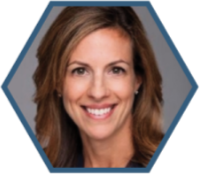 Her corporate clients include work with leaders at Microsoft, Google, YouTube, Blue Shield of California, Russell Investments, North Point Advisors, and more. Maria earned a B.A. in Communications and an M.S.Ed in Leadership and Supervision and holds certificates in Cognitive CoachingSM and School District Administration and Supervision. She has co-written and published education curricula for both teachers and school leaders and recently celebrated the fifth publishing of her co-authored book, Text Savvy. Maria lives in the Bay Area with her husband and two children, Mia and Andrew, and is often seen running or at Cross Fit on the weekends. Cherissa Kreider-Beck is an English Language Arts Coordinator for the San Diego County Office of Education, supporting administrators and teachers in 42 different school districts in Southern California. 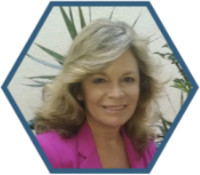 Prior to working at the County level, she spent 22 years in San Diego Unified School district with 17 years of experience as a Literacy Peer Coach/Staff Developer. Her classroom teaching experience — in kindergarten through sixth grade —ignited her passion for and research into literacy instruction. Cherissa also works as a literacy consultant, working with school districts across the United States. 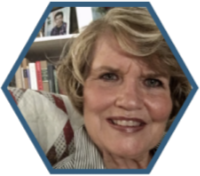 She taught for 8 years at the University of San Diego as an adjunct professor, teaching Master’s level courses in literacy instruction and curriculum design and evaluation. Linda spent 27 years as a classroom teacher at the elementary level. During that time she also directed gifted and talented programs and supported students as a Reading Recovery teacher. Linda continued her professional life as an administrator at both the state and district levels continuing to focus her leadership skills in the area of literacy instruction and supporting schools and teachers implementing high-quality, grant-funded literacy programs. She continues to provide professional development throughout New England where she lives and around the US as an independent consultant feeding her passion for working with teachers promoting the implementation of strong literacy programs. She is currently serving as president of the New England Reading Association. Vivian Pratts is an experienced Special Education Teacher, Bilingual Teacher, Elementary Principal and Bilingual/ ESL PK–12 Director. She has over 30 years of educational experience. She is currently an Educational Consultant and working on her doctoral dissertation. Her research interests include translanguaging with emergent and experienced bilinguals, as well as how teachers extend and support student’s linguistic repertoire. Vivian presents at local, state and national level. She provides professional development for parents, teachers and administrators. 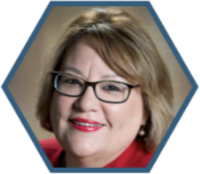 Additionally, she currently serves as Instructional and Professional Development Chair on the Board for the Texas Association for Bilingual Education (TABE). She has also served as TABE President, Past President, and Bilingual ESL Director Representative. Honors include her campus being featured as a Best Practice in Leadership and Dual Language Programs in the 2nd edition of Dual Language Essentials for Teachers and Administrators, co-authored by Drs. Yvonne and David Freeman and Dr. Sandra Mercuri. Pratts was selected by her peers as Spring Branch ISD’s Elementary Principal of the Year in 2015-2016. Paulina Rodríguez-Cañizares is a bilingual educator from Argentina that is passionate about supporting emerging bilinguals in their path to biliteracy. Her journey started as a teacher of English as a Second Language in her home country and evolved into a bilingual reading intervention teacher and later curriculum specialist for Denver Public Schools (DPS). In this role, she supported teachers in implementing effective small group instruction for struggling readers and the choice and creation of equitable resources for emerging bilinguals both in English and Spanish. Upon getting her Masters of Arts in Educational Equity and Cultural Diversity at the University of Colorado in Boulder, she transitioned to her current role as a bilingual instructional coordinator with the English Language Acquisition Department at DPS. In this role, she is in charge of supporting elementary schools in strengthening their bilingual programs by working on assessment, curriculum, instructional practices that better support emergent bilinguals. Cynthia Craft is an English Language Arts coordinator at San Diego County Office of Education (SDCOE). In addition, she works as a Reading Recovery Teacher Leader. Previously, she worked as a Newcomer teacher, adjunct professor, reading specialist, coach, and consultant. Her passion for language and literacy development lead her to teach and learn a portfolio of interventions based on the Comprehensive Intervention Model (CIM). Tammy Jones is co-author of a professional book titled Apprenticeship in Literacy: Transitions Across Reading and Writing, published by Stenhouse, with Dr. Linda Dorn. Tammy’s background is rich in professional development. 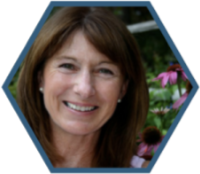 Tammy has designed, organized and supervised the large-scale training of public school teachers in major urban districts such as San Bernardino, Houston, Philadelphia, New York City, Boston, and Denver. As a Professional Development team builder, she has personally helped numerous districts implement systemic changes and improvements in their literacy practices. 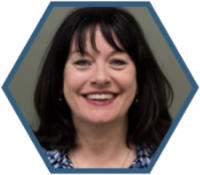 Tammy has experience as a former classroom teacher and Reading Recovery Teacher Leader, as well as an Early Childhood Curriculum Specialist at the Arkansas Department of Education. Tammy serves as a senior author and consultant for the development of educational products and training resources, while also continuing to train literacy leaders across the country. Tammy presents at state, regional and national conferences including ASCD and IRA. Kelly Davis is a “teacher without borders”. In her thirty-sixth year in education, she has experience as a general education and special education teacher, in addition to serving as a Department of Special Education Resource Teacher in the Howard County Public School System. Kelly achieved National Board Certification. She currently serves as an Elementary Curriculum Specialist in the Howard County Maryland. Kelly’s “bumper sticker” is “Education for ALL, Responsibility of ALL.” Her passion is mentoring teachers’, working with families, and inspiring teachers by modeling highly engaging lessons grounded in research. Kelly is co-author with Linda Hoyt and colleagues in the Heinemann publication, Solutions for Reading Comprehension. Kelly is a part of the Professional Development Network consulting team. Kelly presents at local, state, and national conferences. She is known for her high-energy, interactive presentation style where participants gain motivating ideas and resources that they are eager to use. Kelly resides in Ellicott City, Maryland with her husband Roger and daughters, Kara and Emily. Nilaja Taylor has served in the field of education for the past 17 years. She is dedicated to fostering quality learning experiences that cultivate the desire to learn in students. During those years, she took various roles within the field, which include: District Coordinator for Elementary Schools, Instructional Facilitator, Literacy Coach, Reading Recovery Teacher Leader, and an ELL teacher. Nilaja concentrates in literacy and is currently “All But Dissertation” in the process of obtaining her PhD in Reading. She also specializes in collaborating with administrators and instructional staff in incorporating best practices in literacy instruction that supports the needs of all learners, including the linguistically and culturally diverse population. Lyn Reggett is a literacy and publishing consultant currently working in the United States and Australia. 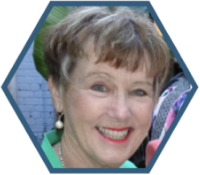 Lyn began her teaching career in New Zealand where she taught mainly in elementary schools and became one of the first Reading Recovery Teacher Leaders in New Zealand. In the United States she has worked extensively as a consultant in elementary and middle schools particularly in New York City, Seattle, San Diego and Sacramento. In Australia she continues working as a coach, believing that coaches need to be working actively in classrooms, as well as leading professional development sessions. She has been associated with Eleanor Curtain Publishing since 2009, pursuing her interest in, and passion for literacy teaching and learning. She works as part of a talented and dedicated team to develop and produce high quality books for students. One of the joys of her job is to field test this material in schools, where students enlighten and teach her.